In this section you will find a wide range of glands and electrical fittings with a PG type thread, specifically from PG7 to PG36, or metric threads from M12 to M36, with nut included. 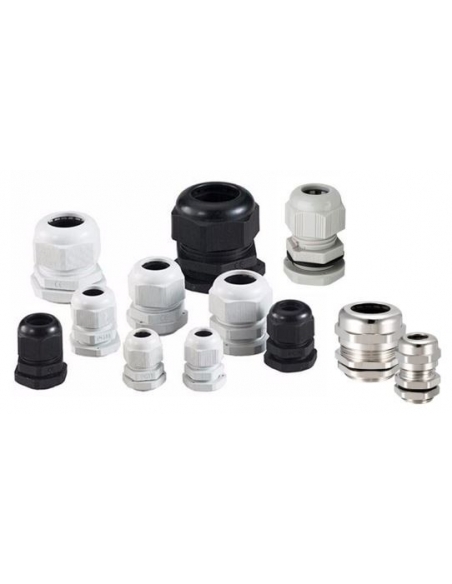 All the cable glands that we put at your disposal are made of beige (gray) and black polyamide (Nylon). These materials are very suitable for the passage and fastening of electrical cables in junction boxes or other devices that require tightness such as motors or position detectors, among many others. 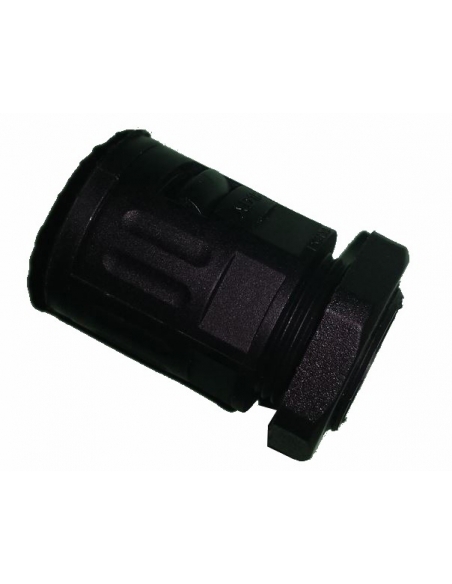 The cable glands are supplied with a nut for correct fixing and provide a degree of protection IP68 (on cables or circular elements). The fixing and sealing is achieved through the use of a ring integrated into the inside of the stuffing box. They comply with the international IEC 698 regulations.